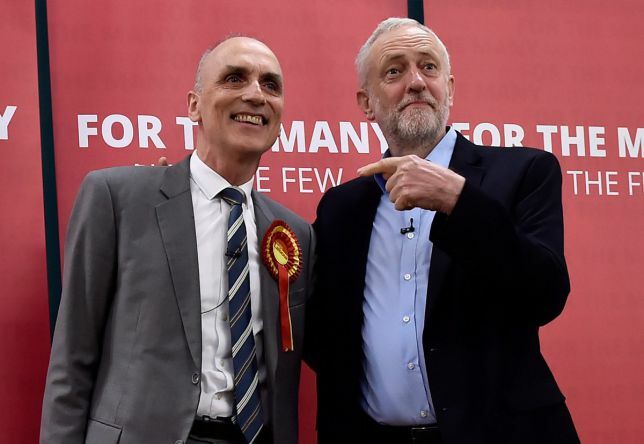 Model Motions: Reinstate Chris Williamson MP! THERE IS NO BAN! We hear that in a number of branches and CLPs, the chair has prevented the meeting from discussing motions in support of Chris, because of apparent recent advice by Labour HQ. We have produced detailed guidelines on this issue here. 1. Notes the personal statement from Chris Williamson (February 27, published in full below). 2. Is opposed to all forms of anti-Semitism and racism. 3. Does not believe Chris Williamson MP should be expelled from the Labour Party. APPENDIX/NOTE: Chris Williamson’s personal message. The Labour Party is an anti-racist party. It is the only party that has stood shoulder-to-shoulder with religious and ethnic minorities in their decades-long fight against racism, discrimination and prejudice in the United Kingdom. On a personal level, I have been an anti-racist all my life. As a former member of the Anti-Nazi League. I participated in direct action to confront foul anti-Semites in the streets. I reject racism ethically and morally. It has no place in the Labour Party or in our country. It pains me greatly, therefore, that anyone should believe that it is my intention to minimise the cancerous and pernicious nature of anti-Semitism. I deeply regret, and apologise for, my recent choice of words when speaking about how the Labour Party has responded to the ongoing fight against anti-Semitism inside of our party. I was trying to stress how much the party has done to tackle anti-Semitism. Our movement can never be “too apologetic” about racism within our ranks. Whilst it is true that there have been very few cases of anti-Semitism in the Labour Party – something I believe is often forgotten when discussing this issue – it is also true that those few are too many. It is precisely because of our party’s historic struggle against racism that we have taken it upon ourselves to strengthen our rules, to improve our disciplinary procedures and to redouble our efforts to take on anti-Semites. We have held ourselves to a higher standard than any other political party when it comes to anti-racism – and rightly so. I am therefore sorry for how I chose to express myself on this issue within our party. This is a fight that I want to be an ally in. In future, I will take it upon myself to be more considered in my remarks. and ensure they reflect the Labour Party’s unswerving and unfaltering commitment to anti-racism and the fight against anti-Semitism. This Constituency Labour Party notes with great concern the suspension of Chris Williamson MP for Derby North. The allegation that Chris is downplaying anti-Semitism is totally unfounded. His comments, made at a Momentum meeting in Sheffield, were taken out of context in a deliberate attempt to ruin both the reputation of Chris Williamson MP and Jeremy Corbyn. His comments are clearly neither anti-Semitic, nor denying the existence of anti-Semitism in the Labour Party (as in wider society). But he does quite rightly point to the fact that there has also been a political campaign to “weaponise” accusations of anti-Semitism. Chris is a target because he is one of the very few Labour MPs who have openly stood up to the witch-hunt of Corbyn supporters and because he has campaigned tirelessly for the much-needed democratisation of the party. Despite the departure of Iain McNicol as general secretary, the witch-hunt of left-leaning party members continues. The main target of this campaign is, of course, Jeremy Corbyn himself. But thousands of Labour Party members have been investigated, suspended and expelled, often on spurious grounds. Like Chris Williamson, they are the collateral damage in this campaign to ‘get’ Corbyn. This branch/CLP notes with concern the use of the term (as attributed in the media to a Labour spokesman) “downplaying” anti-Semitism in the Labour Party. We believe that of course the Labour Party should combat all forms of racism. his expulsion was not for antisemitism, despite continuous prejudicial media coverage falsely accusing him of antisemitic abuse at the media launch of the Chakrabarti Report on June 30, 2016.
that the party has indeed been brought into disrepute, not by Marc Wadsworth’s non-abusive remark at the Report launch, but by the actions of PLP members publicly denouncing him as an antisemite; by the adherence of the entrenched party bureaucracy to a unaccountable and unelected disciplinary system which was not fit for purpose; and by its failure to put in place a system conforming with principles of natural justice, which should be automatic in any labour movement organisation.